Northern Illinois University today announced a new partnership with five northwest suburban community colleges that allows students at Elgin Community College, William Rainey Harper College, College of Lake County, McHenry County College and Oakton Community College who complete an associate’s degree in business to transfer seamlessly and complete their bachelor’s degree at NIU-Hoffman Estates. The Business Dual Degree Program is designed to provide a pathway for students to earn quality accessible and affordable associate and bachelor’s degrees in business administration close to home, helping address the region’s need for an educated workforce. 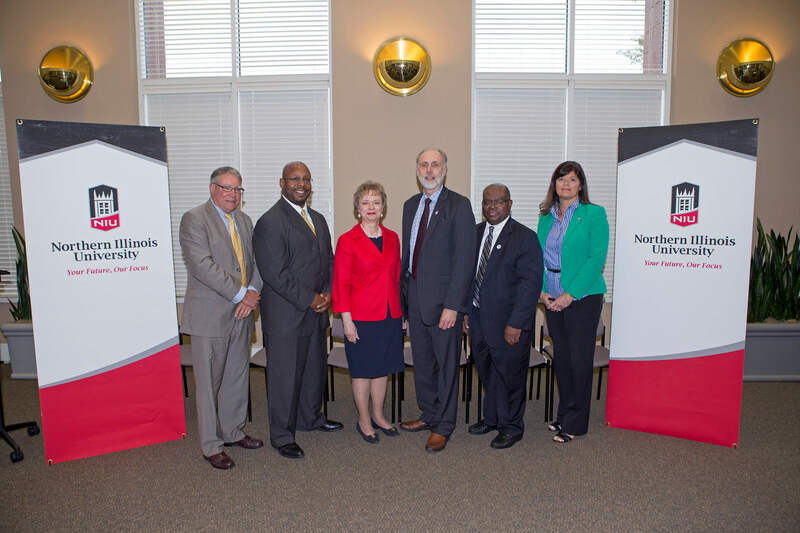 As part of the program, high-achieving students will be eligible for NIU scholarships that will enable them to complete their bachelor’s degrees at NIU with a smaller investment. The other presidents in the consortium agree, noting the convenience and affordability of the program and its benefits for students. “For our students who wish to remain in the Chicago area, the joint business degree provides a valuable new option for completing a respected bachelor’s degree at in-state tuition rates,” CLC President Jerry Weber added. 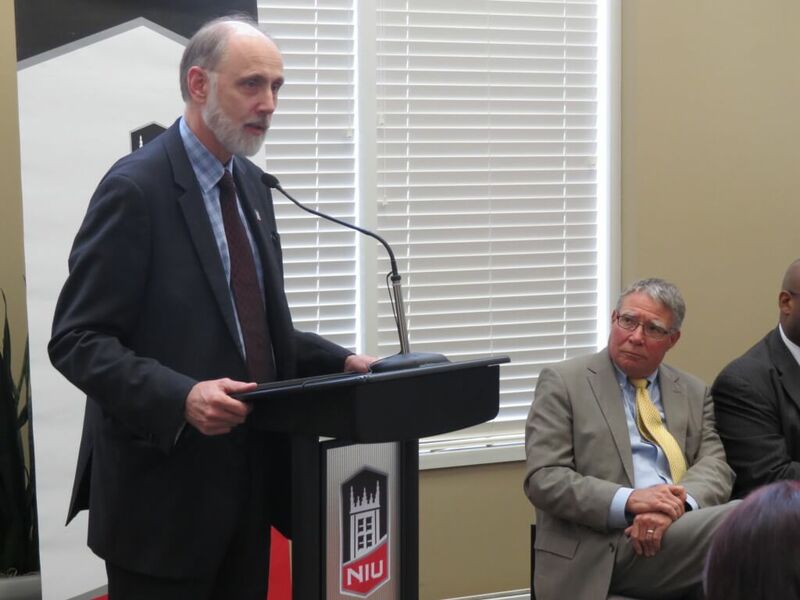 NIU President Doug Baker addresses the crowd gathered at a June 12 press conference as Harper College President Ken Ender looks on. The effectiveness of the program will be measured by the participating institutions with regard to increasing the number of associate and bachelor’s degree holders, especially among low-income and first generation students. The Illinois Public Agenda for College and Career Success calls for the state to increase the number of high-quality postsecondary credentials to meet the demands of the economy and an increasingly global society, and the state has set a goal to increase the proportion of Illinois adults with a postsecondary credential to 60 percent by 2025.